In addition to two private office spaces, add a convenient half-bath for a self-contained work environment. 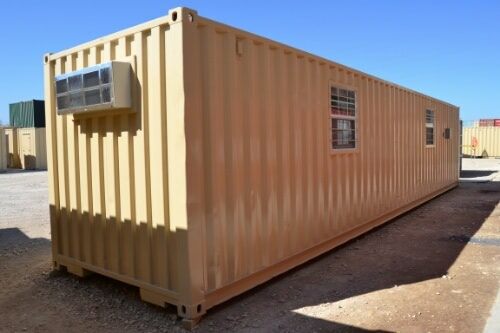 Pre-installed electrical and plumbing make relocating and setting up ground level office containers with half-baths fast and easy. Efficient layout with half-bath restroom between private workspaces. Support for up to four workstations in comfortable work environment with climate control and office-grade finish out. 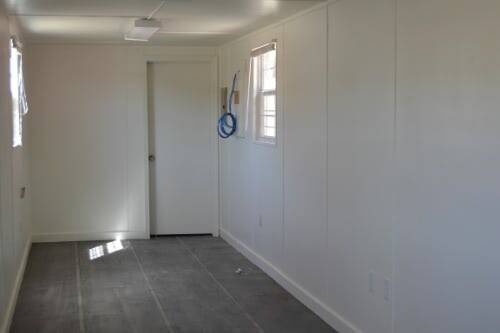 Quick setup and relocation with easy electrical and plumbing connection, and no need for steps, ramps, tie downs, skirting or foundation. 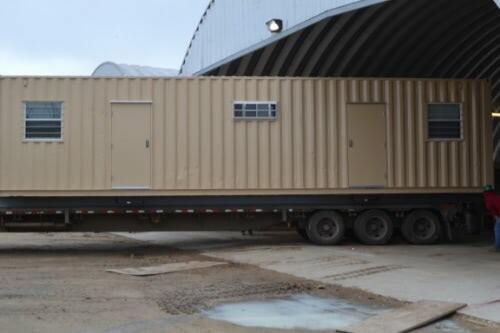 Includes two steel personnel doors, four windows, plywood walls, insulation, two HVAC units, overhead lighting, outlets and 260 square-feet of workspace.